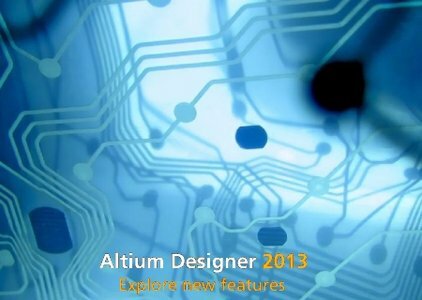 Altium announced the release second update of Altium Designer 2013. This update includes some long awaited features, lots of enhancements and the continuation of performance and stability fixes. ActiveBOM is a new tool that facilitates real-time cost estimation and tracking for a board design, by giving the designer a clear picture of cost and availability of all items associated with that design. Also see ActiveBOM FAQ for detailed insights and answers to common questions. A WYSIWYG live drill table that dynamically updates in real-time, as hole-containing objects such as pads and vias are placed on and removed from the PCB design. A specific, scalable view that allows the designer to place a snapshot of any rectangular shaped region of the current board, or another board, anywhere within the workspace. Support for user-defined output filenames using a concatenation of special strings and user-defined project parameters. Bringing support for defining and releasing simulation models to an Altium Vault. A simulation model is defined within a SimModel file (*.SimModel) on the design-side, and linked to a Simulation Model Item within a target vault. The Vault search feature has been substantially upgraded, with the introduction of Grouping, Column-based filtering, and a powerful Filter panel. Altium believes that anyone who wants to make a difference using electronic products should be able to do so. And we help designers do this by giving them everything they need to be able to make this difference. We develop, create and sell electronics design tools ? software and development hardware ? that unify the entire electronics design process in one application, that is easy to use and as affordable as we can make it. This unified electronics design environment ? it's called Altium Designer ? is the result of years of development work but is now just one part of AltiumLive, a web-based portal that is the means by which we help professional electronics designers connect people and devices. The two go hand-in-hand. Altium Designer and AltiumLive together create an ecosystem that is greater than the sum of the parts. They bridge the gap that separates the design of a product and how that product is manufactured.